Worked directly with Dove's Multicultural PR team (at Edelman), as a media-facing, brand ambassador for the launch of Dove's Invisible Dry Spray Deodorant. Targeted to the Latinx market (in both English and Spanish), my influencer partnership included, hosting an influencer activation in Miami with top-tier fashion/lifestyle bloggers and editors, on-camera fashion segments reporting on seasonal trends, integrated brand marketing positioned from a celebrity stylist's perspective, and social media posts highlighting the product. 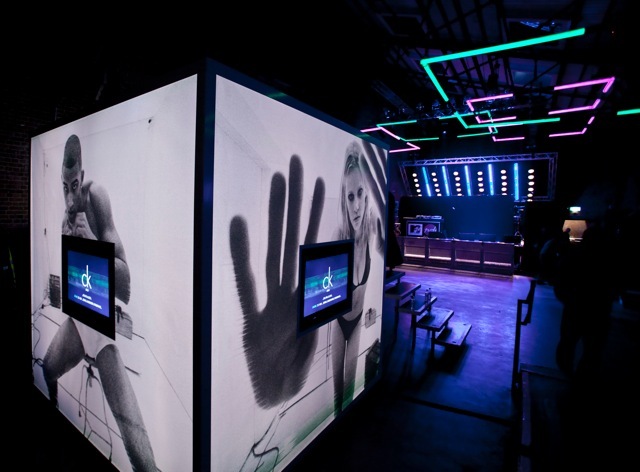 CK One's experiential brand events included concerts, dance parties, giveaways, and "Get in the Box"-themed video booths. High-profile brand ambassadors hosted activations in their hometown cities, styled in Calvin Klein/CK One styles. Local models dressed in CK One, enticed partygoers to participate in the video "Get in the Box" activation. Campaign clips played throughout the activation, encouraging attendees to film group activities once inside the box. NYC billboards promoted the campaign's microsite & downloadable AR app. App users could scan billboards and print ads to see BTS footage and AR/interactive video content. Every week, a new brand ambassador's video confessional was featured on social media. CK One's eCommerce microsite featured UGC, campaign videos, & limited-edition clothing/fragrance. CK One's commercials featured a diverse cast of global brand ambassadors including singers, actors, models, and creative influencers from the US, UK, Asia, & Latin America. Worked directly with Calvin Klein's digital team on the relaunch of the iconic CK One brand. Marketed to millennials on a global scale, the digital and experiential marketing campaign featured a microsite, TV/magazine ads, billboards, influencer brand activations, and global events (concerts and parties). I curated user generated content to be featured on social media and the microsite: Fans were encouraged to create their own "Get in the Box" videos with friends at brand events. I strategized social media marketing and managed Calvin Klein and CK One's Facebook and Twitter accounts. I also created engaging content building buzz around the campaign, while simultaneously driving traffic to both Calvin Klein and CK One's eCommerce/websites. Cools.com celebrated the unveiling of their site with 40+ bloggers and fashion/lifestyle editors. The launch event was co-hosted by fashion designer, Erin Fetherston. Trendy eatery The Fat Radish, hosted Cools.com's three-course dinner party. Cools.com CEO and co-founder, Olivier van Themsche, with fashion influencer attendees. 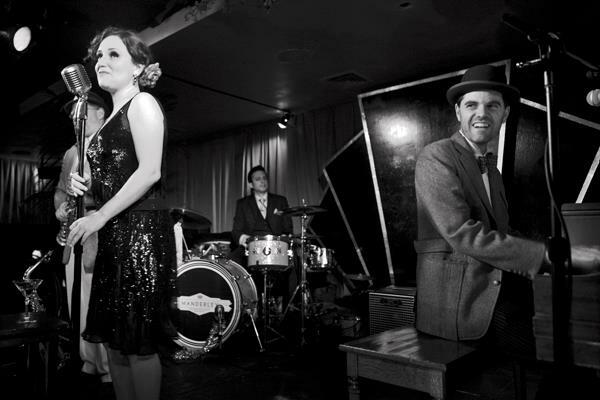 1000+ guests joined Cools.com and brand partner, Ronnie Madra, for a holiday celebration at The McKittrick Hotel in NYC. Singers and dancers from the "Sleep No More" cast, performed in the VIP lounge. Dance music provided by DJ's Lee Curtiss, Vision Quest, and Droog. Launched and curated content for the brand's Pinterest page. Copywriter and editor for the brand's digital marketing. Managed and strategized the brand's digital content/company blog. Worked directly with the brand's creative director on the beta launch of the fashion eCommerce startup. I strategized content and digital marketing, managed the user community, and coordinated/produced influencer events and brand partnership parties. Wrote copy and edited all company media including, the Cools blog, e-mail newsletters, in addition to managing all social media accounts: Facebook, Twitter, Pinterest, and Instagram. VC and tech industry attendees often scouted Future of Fashion startups for potential company funding. Alcohol sponsor Bulldog Gin, provided cocktails for the event series. Founders were given 5-min. to demo their product and present their "elevator pitch." 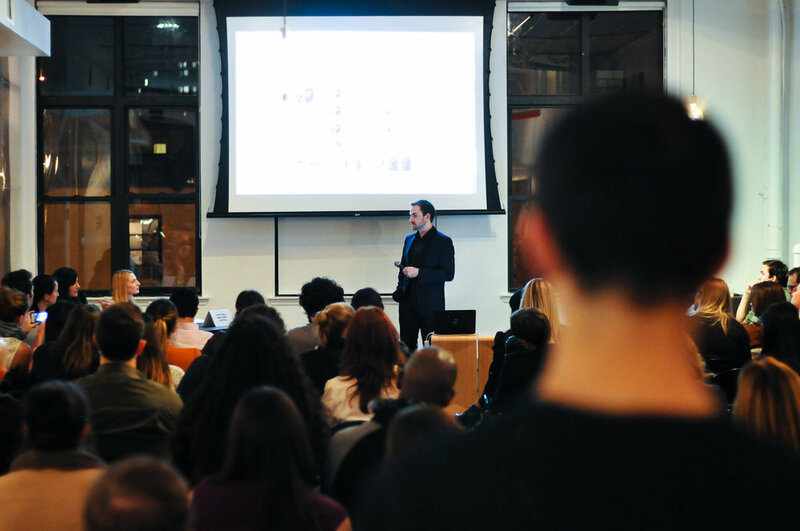 High-profile panelists, Steven Alan, & Refinery29's CEO, Philippe von Borries, gave constructive feedback to presenters. Each Future of Fashion event included a networking cocktail hour. Fashion startup Perch Interactive, showcased their digital interactive retail displays for attendees. Future of Fashion held their event residency exclusively at Projective's event venue in NYC's LES. Fashion founders took questions from an expert panel and the audience, for a fully engaging event experience. 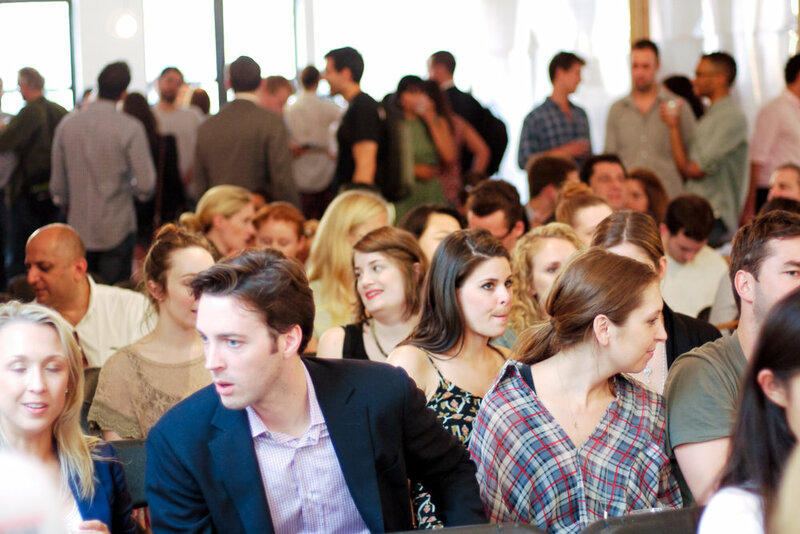 A sold-out crowd attended the launch of the Future of Fashion event series. Produced and co-founded an ongoing event series dedicated to connecting tech startups with industry professionals in fashion and retail. Partnering with event co-founder Projective Space, each session showcased 4-5 innovative fashion startups. Executive-level panelists provided feedback and business advice following each demo. An average of 125 attendees joined each session to participate in the highly curated networking event. I scouted all emerging tech startups for participation, facilitated event sponsors, and booked the influencer/industry panel for each themed-event. Presenting startup companies: Cools.com, Bespoke Post, Carrie Hammer, Cloth, Olapic, Perch, Clothes Horse, Handshake, Bib + Tuck, Little Black Bag, Stylitics. Industry panelists included: Philippe von Borries (Refinery 29 co-founder & CEO); Faran Krentcil (Fashionista founder); Steve Schlafman (Lerer Ventures principal); Steven Alan (fashion designer); Nick Chirls (Betaworks Investments); Susan Barber (Opening Ceremony Art Director); Christina Mercando (Ringly co-founder); Jenn Talley, (Teen Vogue digital development editor). Attendees represented: Vogue, Teen Vogue, GQ, TIME, Newsweek, Ad Week, CNN Money, The Daily Beast, Business Week, Google, HBO, PSFK, WGSN, Starworks Group, Betaworks, Crossbar Capital, Highline Venture Partners, Ralph Lauren, Zac Posen, Saint Laurent, Calvin Klein, Kate Spade, The Jones Group, Shopbop, and GILT. Austin's W Hotel (located in the city's trendy, Second Street District), hosted the Fashion Brain Bar event. In 2013, The Fashion Brain Bar was a pioneer in fashion-only event programming at SXSW's tech conference. The luxe poolside setting provided an outdoor bar, swimming, and private cabanas. With a large number of female/influencer attendees, the FBB stood out from the male-dominated tech scene. 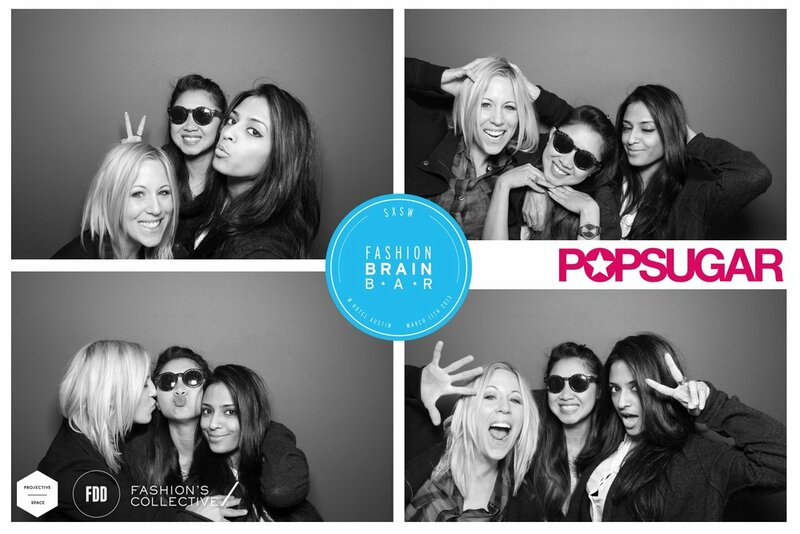 POPSUGAR's photo booth provided GIF and digital images to share on social media. Local college fashion students volunteered as event staff. Attendees were given free, event-branded sunglasses to beat the Texas heat. Signature cocktails provided by event sponsor, POPSUGAR. The event garnered more than 1000 RSVP's from over 100 fashion companies. Partnered with event co-founders Projective Space (NYC membership community for creatives & entrepreneurs) and FC Tech Group (invite-only, luxury fashion conferences & consulting group), for an exclusive fashion experience at the SXSW Conference in Austin, TX. The full-day, industry professionals-only event was an outdoor/poolside lounge for insiders to connect, network, and chill. Local shoe vendor Bootleg Market provided a retail popup experience, meanwhile, a virtual expert panel participated in social media questions throughout the day. 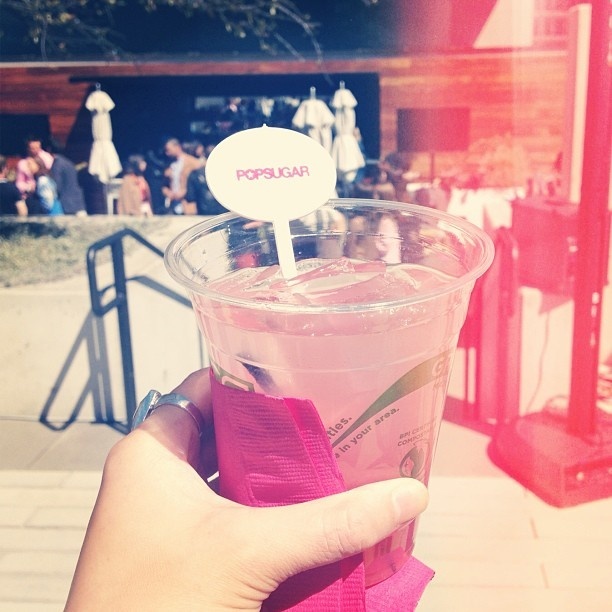 Premium sponsor POPSUGAR, hosted a digital photo booth and signature cocktails. DJ's SWELLS and Jilly Hendrix provided the event's music. I secured the event venue, volunteer staff, and popup retailer, in addition to facilitating digital marketing and event promotion.